Saha is a beautiful Girl with a WONDERFUL PERSONALITY. Saha (Sah-ya) is a playful energetic goofball but also can chill out and just be a 'lazy snuggler'. 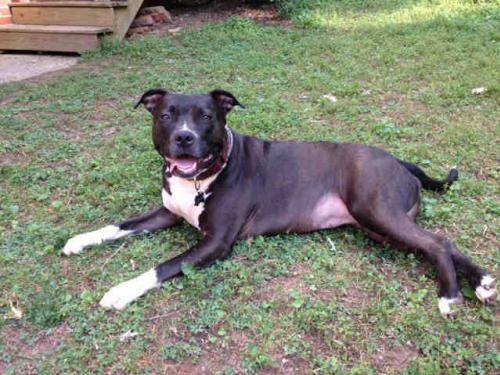 She is great with other dogs and would be the perfect companion for your energetic dog. Her foster home has 3 dogs (1 female and 2 males; all ~50lbs and above) and she does very well with them. She likes keeping you company, loves petting and snuggling, and her favorite toys are thick ropes and balls. Saha is housebroken (she likes a steady day schedule) and is crate trained. Saha is a funny SWEET Girl with a HUGE HEART.